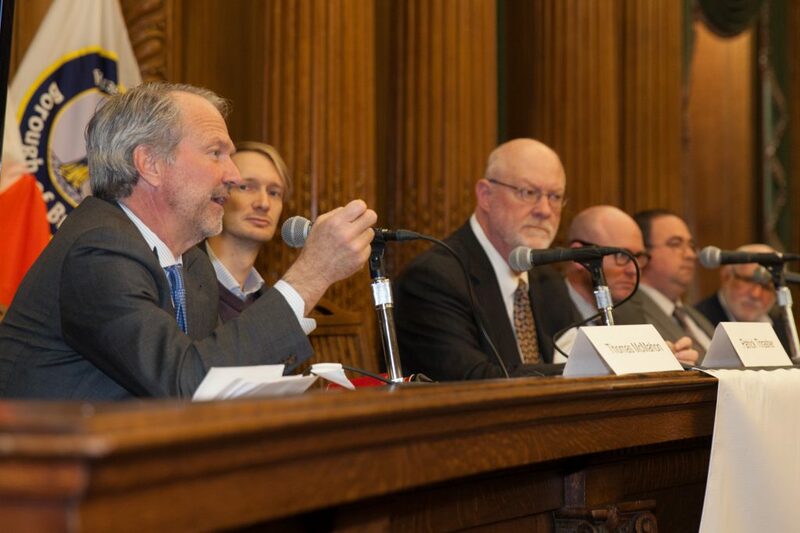 BWRC held its first-ever full day conference at Borough Hall on March 31, with support from the New York City Economic Development Corporation and the Port Authority of New York and New Jersey. 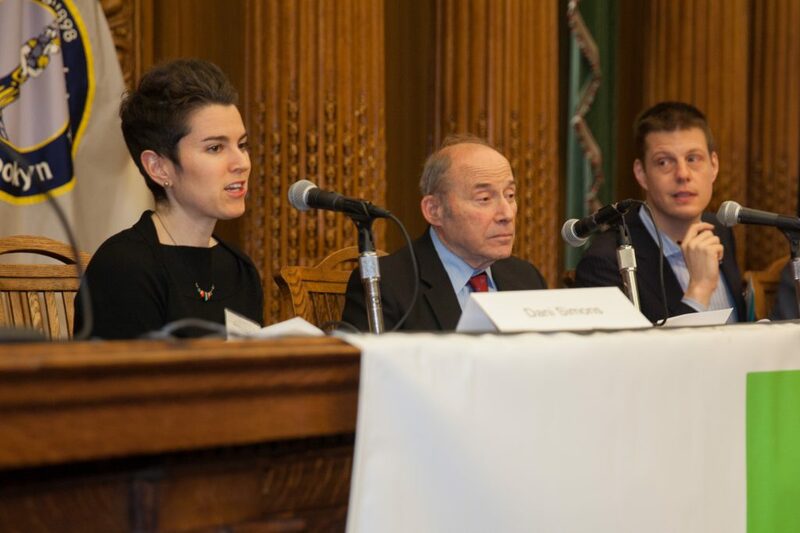 The conference explored the challenges of “Moving Goods and People to, from, and along the Brooklyn Waterfront” with two panels and a keynote speaker. The conference drew leading providers and local experts in freight and passenger transportation. 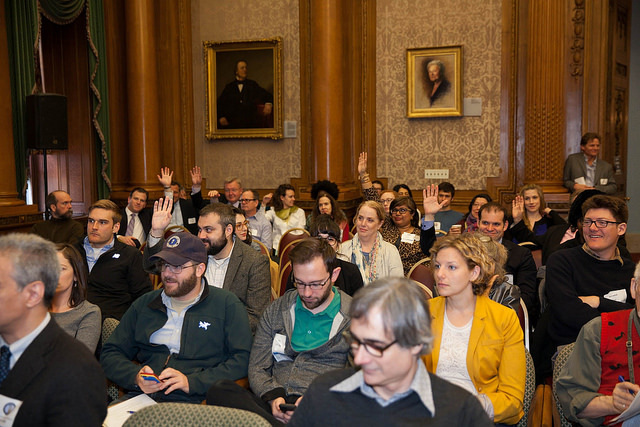 The event was well-attended, filling the main courtroom to capacity, and it was covered by the Brooklyn Eagle. 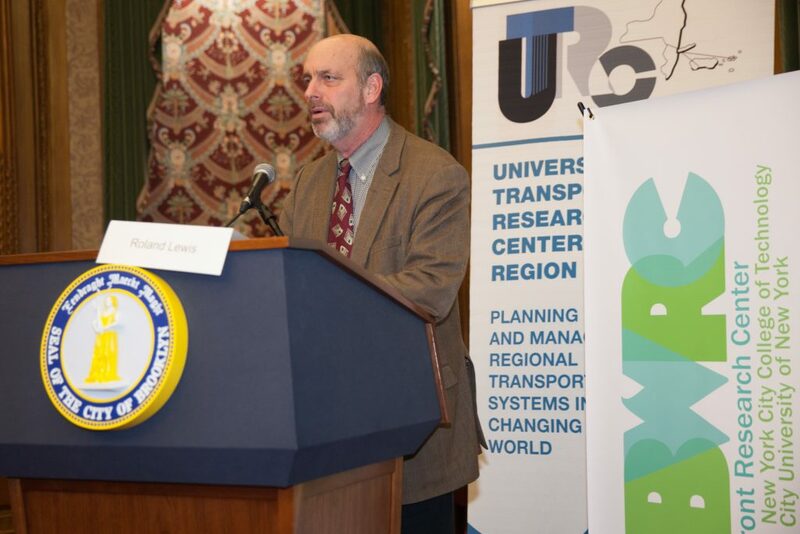 The conference opened with introductions by BWRC Director Richard Hanley and Camille Kamga of the University Transportation Research Center. 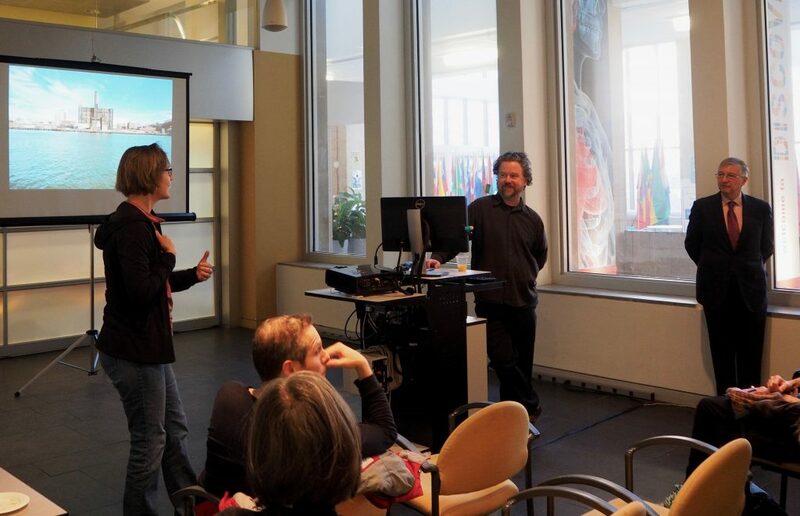 BWRC project coordinator Inna Guzenfeld provided a historical overview, followed by Christopher Clott, of SUNY Maritime College, who outlined New York’s shipping and maritime context. The morning panel, titled “Moving Goods Along the Brooklyn Waterfront” assembled a group of industry professionals, with strong representation from Red Hook. Edward Kelly who heads the Maritime Association of the Port of NY-NJ, introduced the speakers and moderated the discussion. 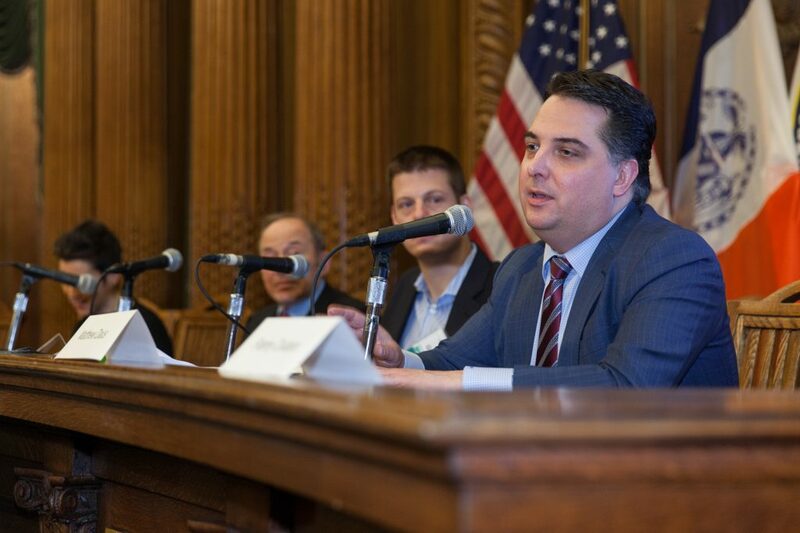 Robert Hughes of Erie Basin Bargeport, Michael Stamatis of the Red Hook Container Terminal, and Gregory Brayman of Phoenix Beverages all emphasized the importance of retaining an active port in Brooklyn. 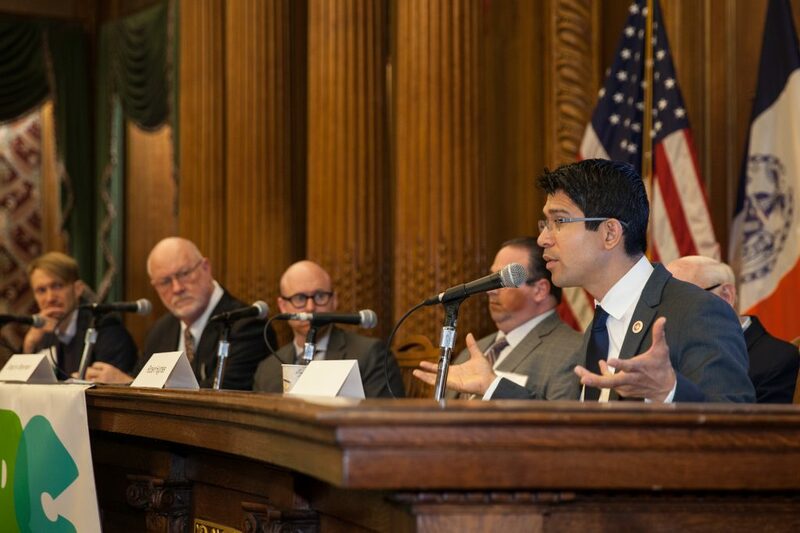 Council Member Carlos Menchaca, a returning panelist from last year’s BWRC conference on manufacturing, discussed strategies to preserve manufacturing jobs in Southwest Brooklyn. 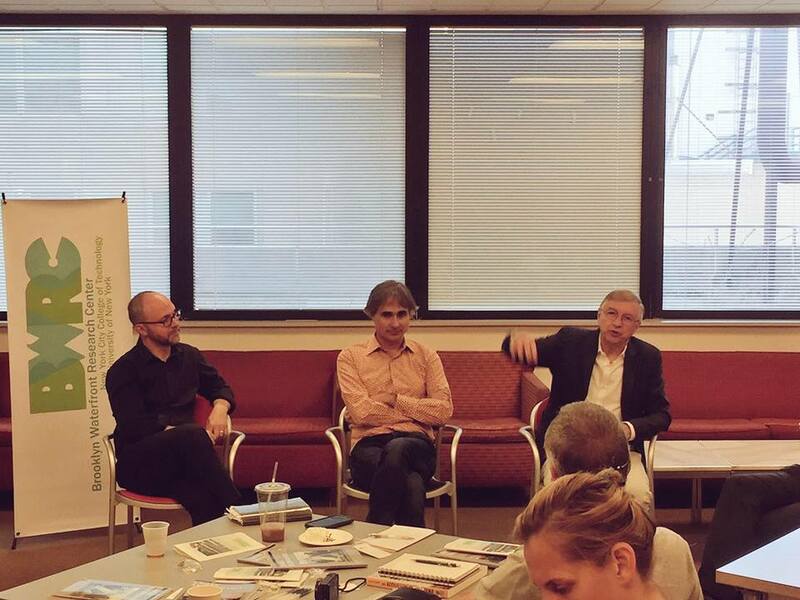 Panelists also raised the issues of waterfront zoning and conflicts between residential development and maritime use. Patrick Thrasher provided an update on the Port Authority’s car float program, which operates between Greenville Yards in Jersey City and the 65th Street Rail Yard in Sunset Park. After a brief Q&A, BWRC was pleased to offer lunch with a keynote presentation by Congressman Jerrold Nadler, a longtime supporter of the working waterfront, who spoke about the Cross-Harbor Rail Tunnel. 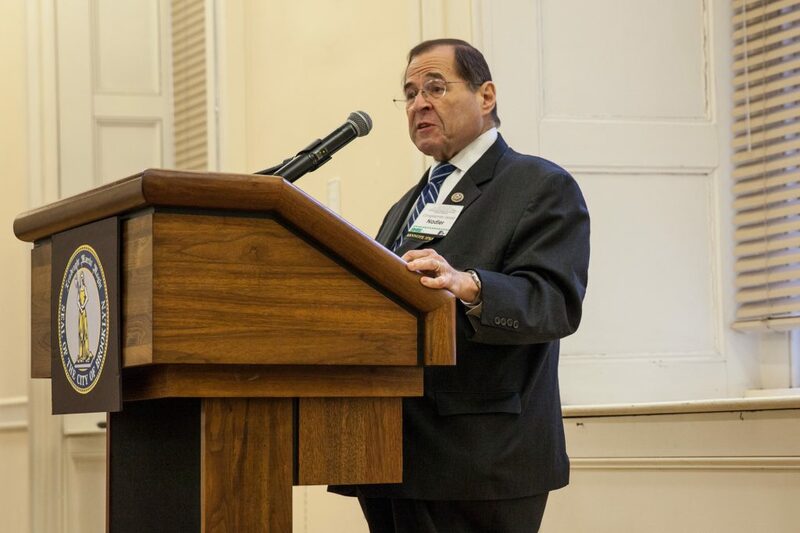 Congressman Nadler cited a startling statistic: Over 40% of freight moves by rail in Midwestern cities, but in the New York region, which is highly truck-dependent, rail accounts for less than 1% of all goods movement. Congressman Nadler also alluded to the environmental impacts of trucking and the need for cleaner, more sustainable ports. Attendees then proceeded to the afternoon panel on passenger transportation, which was split into two parts to accommodate all the speakers. 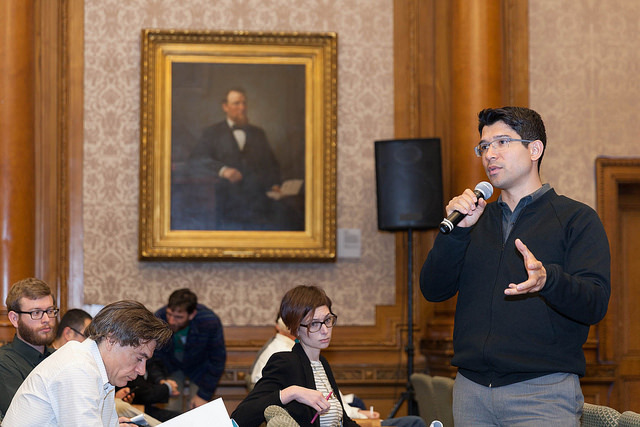 In Part 1, the audience heard from representatives of two community groups, Alan Minor of Neighbors Allied for Good Growth and Ryan Chavez of UPROSE; and two others spoke from larger organizations:Eliot Matz from the Brooklyn Navy Yard Development Corporation and Andrew Hoan from the Brooklyn Chamber of Commerce. 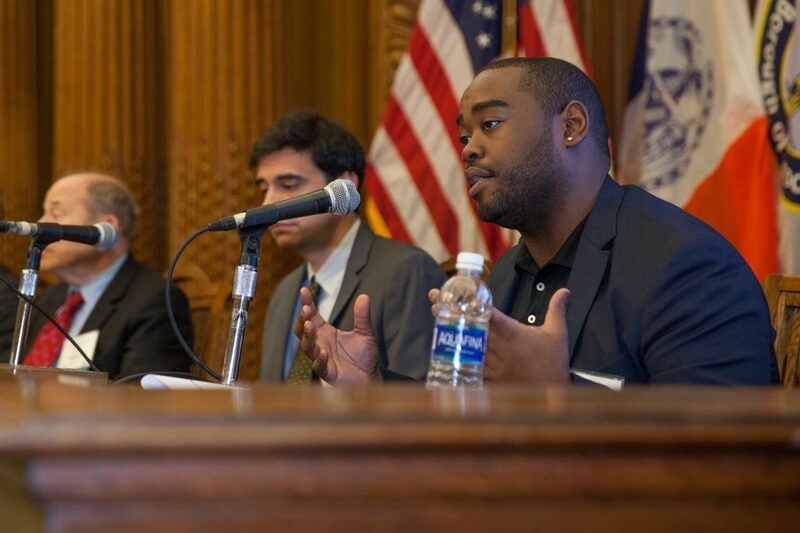 These four panelists discussed the need for resilient transit that serves community needs, while responding to climate change on the Brooklyn waterfront. 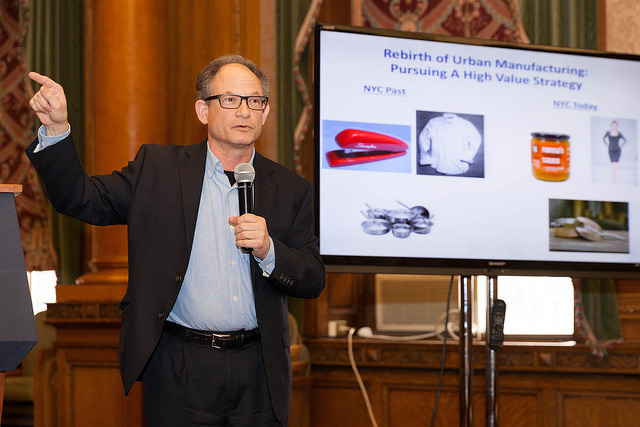 Eliot Matz revealed that the Brooklyn Navy Yard expects to be housing 20,000 jobs by 2020, and outlined the Yard’s plan to provide greater mobility for employees. 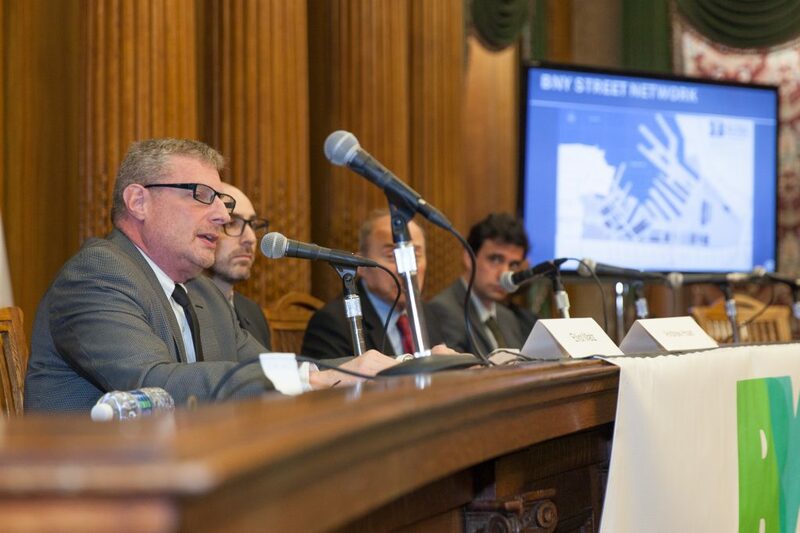 Andrew Hoan emphasized the need for infrastructure investments to accommodate Brooklyn’s accelerating growth. 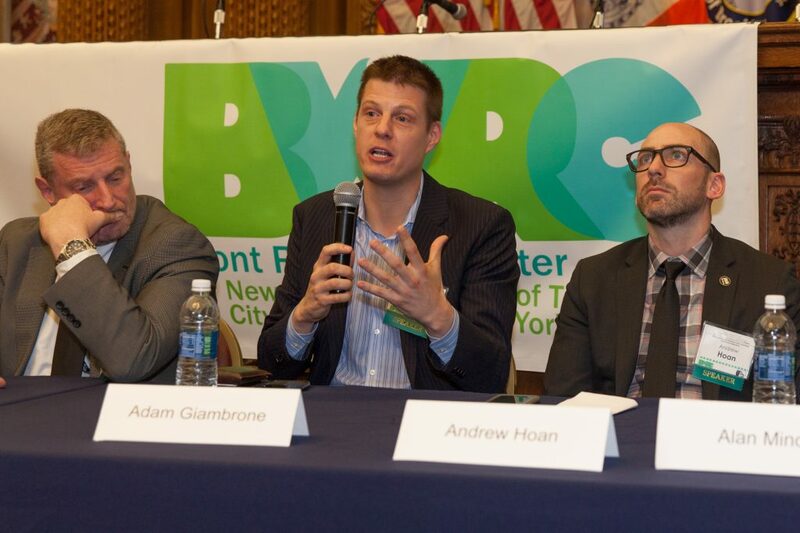 Part 2 provided a truly multi-modal perspective with Dani Simons, of Motivate, which operates CitiBike, Franny Civitano, of NYC Ferry by Hornblower, and Adam Giambrone, who directs the Brooklyn Queens Connector (BQX) project. Matthew Daus, the former Taxi & Limousine Commissioner and expert on Transportation Networking Companies rounded out the panel. Panelists discussed the roles that different modes play in moving people to, from, and along the Brooklyn waterfront and how (semi) private transportation can supplement public transit. 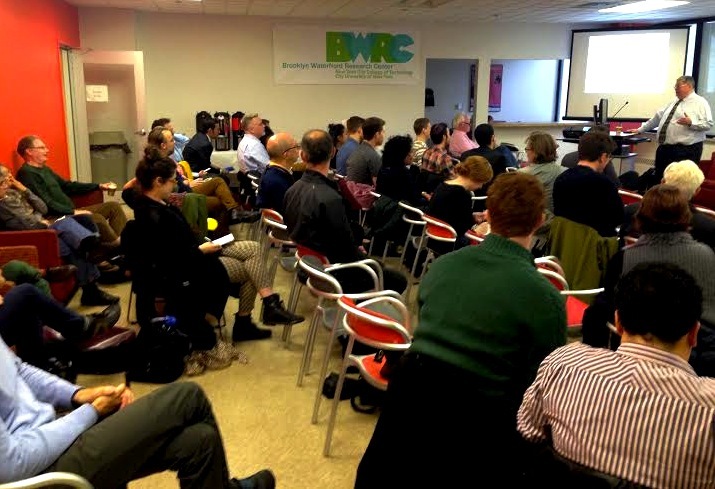 After a short break, BWRC reconvened the afternoon panelists for a closing discussion and Q&A, moderated by Roland Lewis of the Waterfront Alliance. As expected, the BQX drew many questions from the audience, which led to a lively discussion about funding, development, and resiliency. Attendees also raised the issue of community involvement in the rollout of new transportation modes, such as ferries and streetcars. 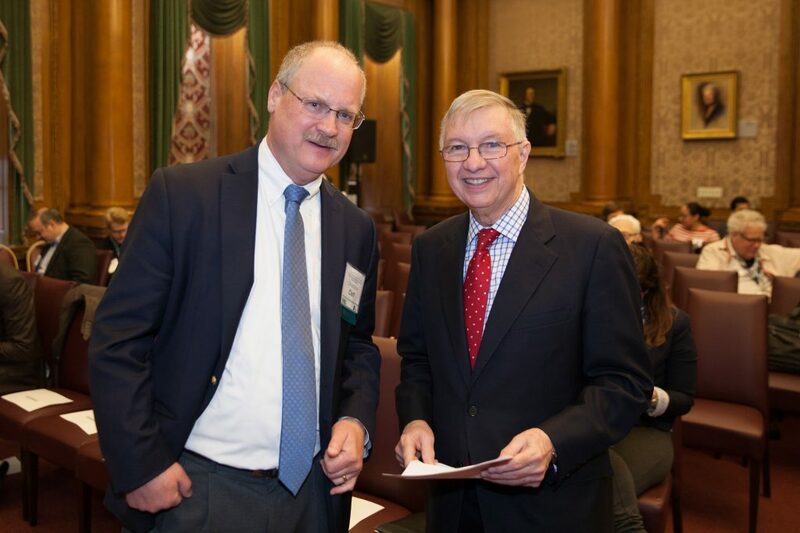 Richard Hanley provided closing remarks, and announced the subject for BWRC’s 2018 conference: coastal resiliency along the Brooklyn waterfront. 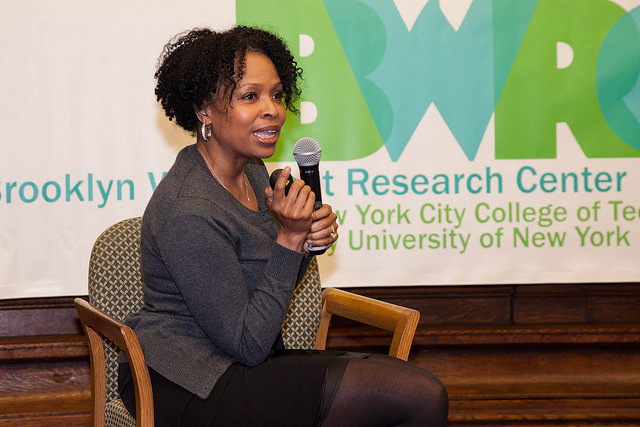 BWRC is grateful to the many panelists who took part in this year’s program, and our sponsors, including the New York City College of Technology and the University Transportation Research Center. 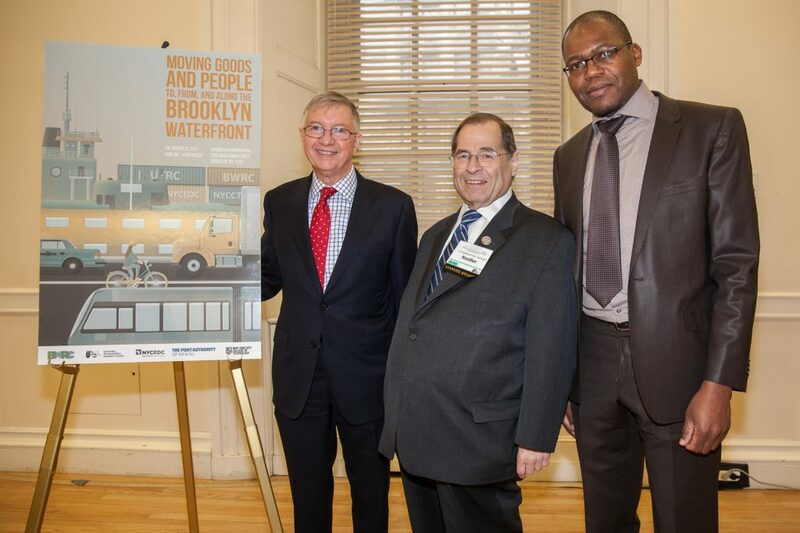 Thanks again to NYCEDC and the Port Authority for supporting a full-day conference this year. 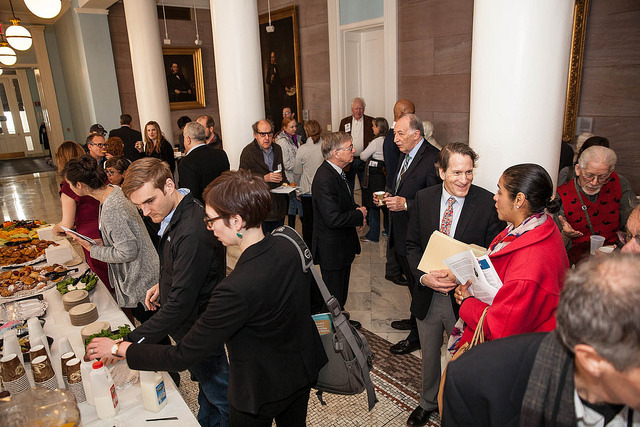 Finally, we would like to thank photographer Robin Michals for documenting the event and Kristin Cassidy, Inna Guzenfeld, and Sean Scanlan for organizing the conference. We look forward to seeing everyone in 2018! In the mid-twentieth century, before its decades’ long decline, the Brooklyn waterfront buzzed with the movement of ships and trains and trucks and trolleys and people. The goods that moved to and fro along the waterfront came from around the world, but many, if not most of the workers moving along the same waterfront came from adjacent neighborhoods – Williamsburg, Greenpoint, Vinegar Hill, Sunset Park, and Red Hook. Many of those workers walked to job sites at large warehouse and factory complexes at the Brooklyn Navy Yard, Bush Terminal, the Domino Sugar processing complex, and the Brooklyn Army Terminal. The workers serviced ships, moved goods, processed coffee, and sugar and worked in manufacturing. There was much less movement along the Brooklyn waterfront in the latter part of the twentieth century as first the shipping industry and then other industries moved, taking jobs and many of the workers with them. After more than a generation, the Brooklyn waterfront is moving once again, but it is a different kind of movement and for different reasons. There are now and soon will be more residents of high-rise towers in neighborhoods that were formerly characterized by low-rise tenements, brownstones, and high-rise public housing. There is still a Navy Yard, Bush Terminal (now Industry City), and Brooklyn Army Terminal, but no Domino Sugar plant. There are scores of thousands of tourists visiting sites along the Brooklyn waterfront. What is left of the transportation infrastructure is overtaxed and insufficient to accommodate the needs for moving along the Brooklyn waterfront. 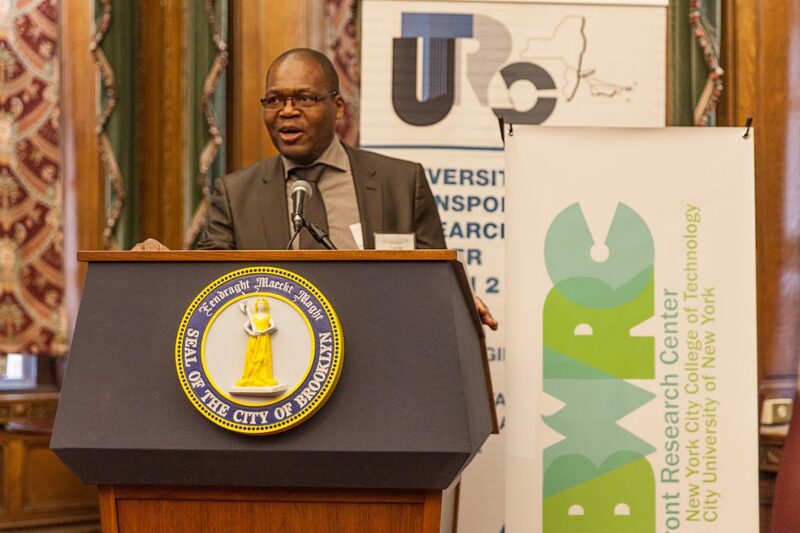 This joint, full day conference, sponsored by BWRC and the University Transportation Research Center, has as its goal as comprehensive a conversation as we can about the transportation needs of the communities, businesses, and visitors along the Brooklyn waterfront. Some of the questions that will be asked are: Have those needs been studied? Who are the community-based actors working on these issues and what are they saying? How are city, state, and local officials planning to address the issues? 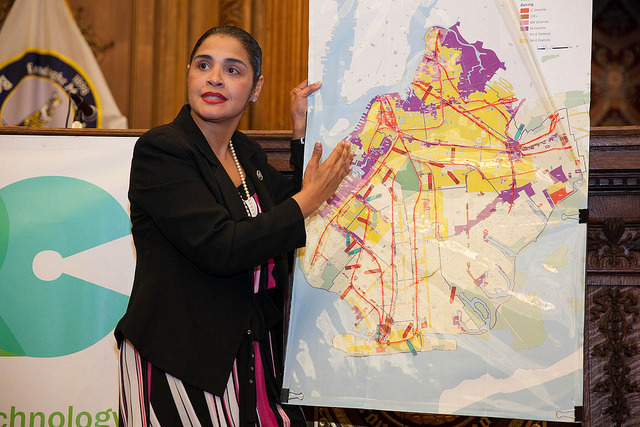 There are many means of transportation and transportation infrastructures in place or proposed: subways, barges, buses, trucks, ferries, private shuttles, freight rails, the Brooklyn Greenway, bicycles, a light rail system, car sharing services such as Uber and Lyft, and even a gondola to replace the L line. Are, or could, these systems be sufficient to meet the needs? Trying to answer these and other transportation questions will be our keynote lunch speaker, Congressman Jerrold Nadler, representatives of maritime industries, elected and appointed officials, representatives from waterfront communities, developers of residential, commercial, and industrial properties, and transportation scholars. Full-day attendees of the conference will be offered lunch. 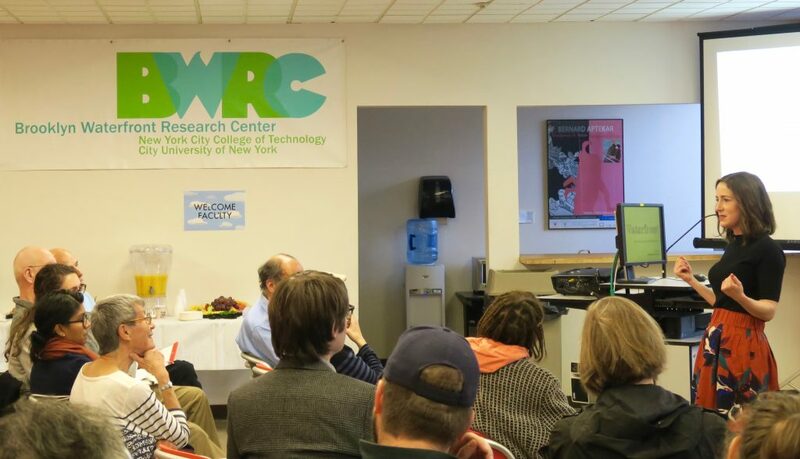 On November 18, the Brooklyn Waterfront Research Center held its final Breakfast Talk of 2016. 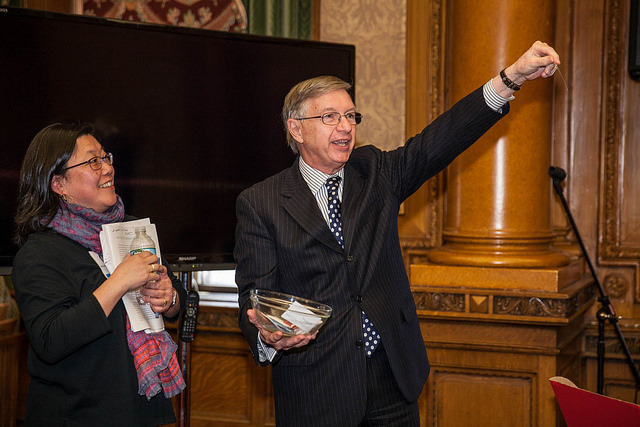 The featured speaker was Julie Golia, Director of Public History at the Brooklyn Historical Society (BHS). Golia discussed BHS’s exciting new venture: a satellite location on the DUMBO waterfront, housed in the renewed Empire Stores. Set to open in December 2017, the museum will occupy 3,000 square feet on the second floor of the building. The inaugural exhibit, “Waterfront” will illuminate the legacy of the Brooklyn waterfront, and it will highlight the Empire Stores and Brooklyn Bridge Park. The talk was accompanied by dozens of slides that told the story of the waterfront and also revealed expertly researched artifacts and documents. Overall, the museum will seek to uncover, research, and display a wide range of objects and documents collected from the entire Brooklyn waterfront, from Greenpoint to Jamaica Bay. Golia and her team explored the physical and social history of the Brooklyn waterfront in order to elicit diverse narratives about people, labor, and industry. The museum plans to bring these stories to life through innovative story-telling practices, hands-on displays, and digital interfaces. For example, through the use of artifacts and oral histories, the museum will highlight the role of slavery in the growth of the port, the contributions of women workers during WWII, and the influence of artists who flocked to the waterfront in the 1980s. Due to the scope of the museum’s goals, the challenges of accurate historical research, the broad audiences the museum seeks, and the spatial and financial constraints, Golia described the project as both exhilarating and daunting. After the presentation, Golia solicited feedback and ideas from the audience, which led to a lively and productive discussion. 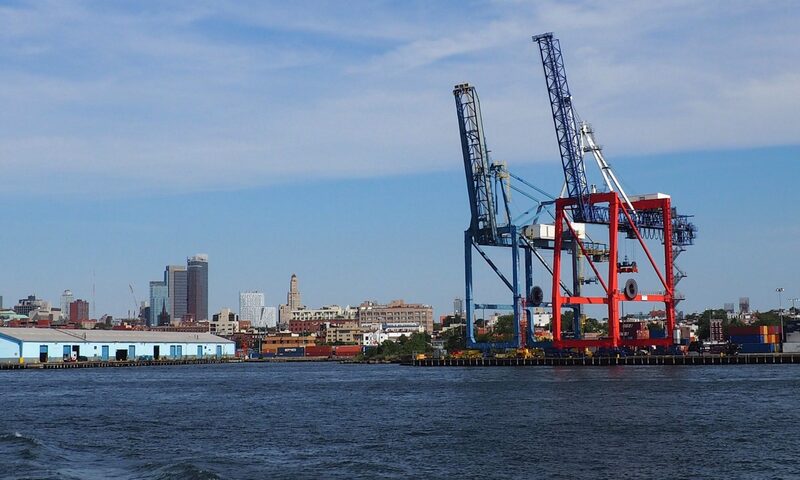 At the end, Golia emphasized the importance of recognizing economic changes on the Brooklyn waterfront, and acknowledging both industrial and service workers. With its proximity to Brooklyn Bridge Park, the museum will attract both local and international visitors. BHS will seek to provide meaningful narratives and experiences for diverse audiences. 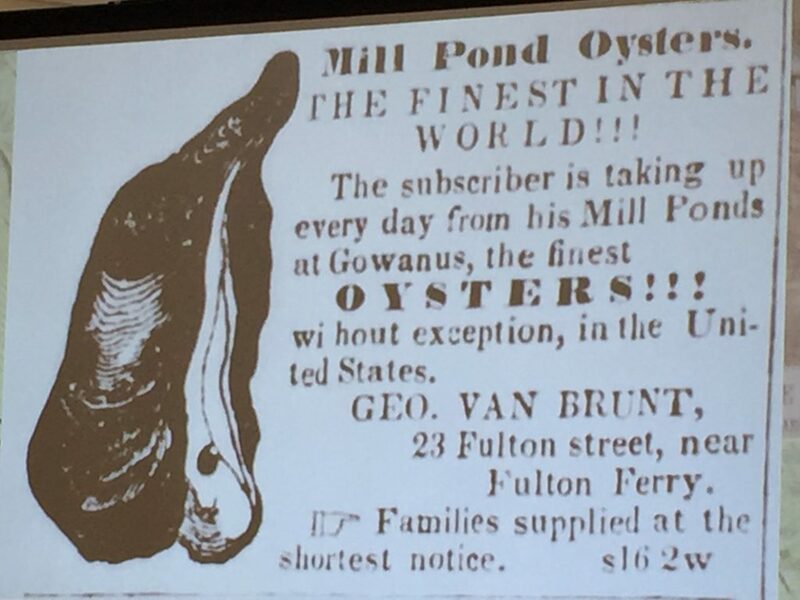 Author Joseph Alexiou captivated the audience with a narrative history of the Gowanus Canal’s transformation from an idyllic tidal estuary into a major commercial waterway in the nineteenth century. 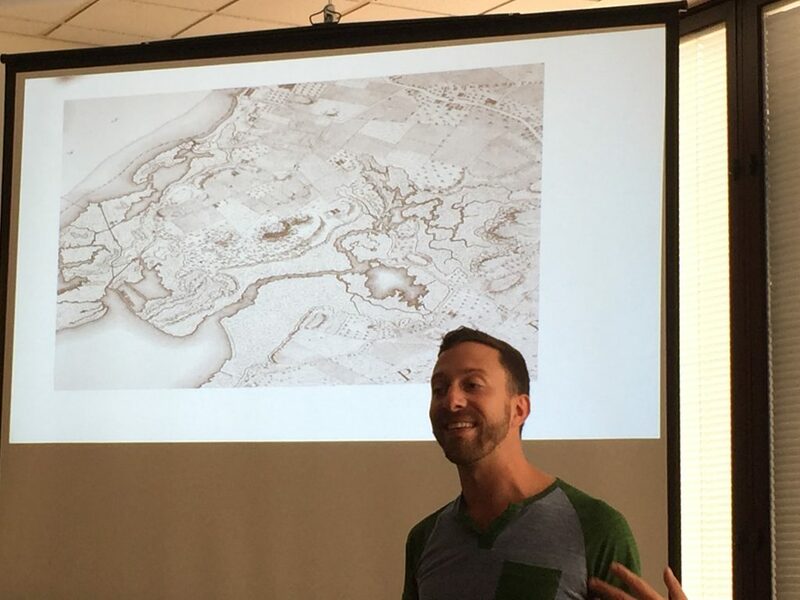 Alexiou highlighted Gowanus’s significance to the Revolutionary War and how the creek helped American troops escape the British during the Battle of Brooklyn. As South Brooklyn became a port in its own right, civic leaders worked to create a competitive waterfront with modern shipping facilities. The Canal was proposed by Daniel Richards, the architect of the Atlantic Basin, which forever altered Red Hook’s natural shoreline. Edwin Litchfield, known as “the father of Park Slope” was actually responsible for developing the Canal and the surrounding neighborhood in the 1860s. 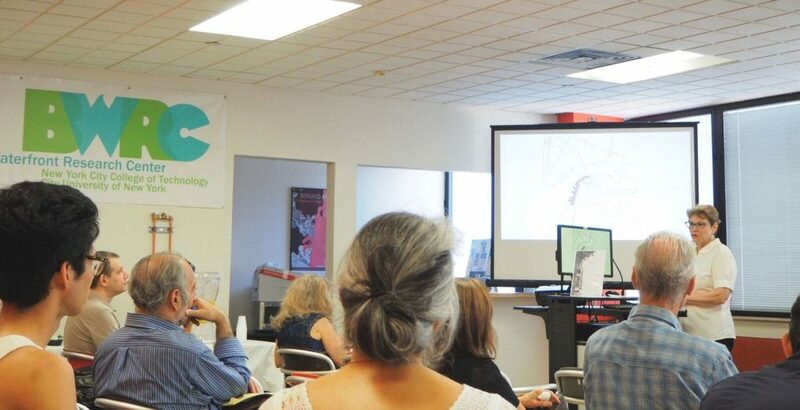 In his talk, Alexiou connected the Canal’s industrial past to its current state as a Superfund site. The audience was treated to photos of toxic sludge at the bottom of the Canal known as “black mayonnaise” – a mixture of chemicals dumped into the waterway throughout its history. The Canal is the repository of Combined Sewer Overflow (CSO) systems that dump raw sewage into the waterway during heavy rain storms. Alexiou explained how CSOs affect water quality in the Canal, and what will be done to mitigate overflows as part of the Superfund cleanup. Alexiou pointed out that the Gowanus neighborhood is in the midst of a real estate boom and reflected on the effect of new development on the existing sewer system. Alexiou energized the audience, generating many questions and a lively discussion that continued after the event. Check out Alexiou’s book Gowanus: Brooklyn’s Curious Canal here! We look forward to seeing you at our next Breakfast Talk on November 18! Please check out our new Facebook page and give us a “like”! We’ll be posting occasional updates, as well as a moderate amount of links to events and articles related to the Brooklyn waterfront. As always, you can follow us on Twitter.